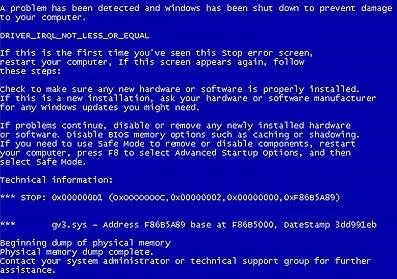 Blue Screen Error of Death (BSOD) is a common Windows 7 problem that users find really hard to solve out. The trouble is minor but it can happen due to many possible technical and logical problems which are hard to find at first attempt. So you can’t find which particular problem is the cause of Blue Screen Error of Death in Windows computer but you can sort it out for sure. I’ll let you know how to deal with the solution tutorial and you just need to go along me till end of this article. What is Blue Screen Error of Death (BSOD)? BDOS is common in Windows 7 versions, but users might get it in Windows XP, Vista and Windows 8 as well. Windows 8.1 is less likely to have this error because it’s the newest version of the OS and hasall the latest coding behind it. While working on anything on your computer or using your system, the computer gets restarted automatically displaying a screen of Blue color with certain codes written all over. This particular error is commonly referred as BSOD error or Blue Screen error and since the color of the screen is blue. In order to fix this issue you need to first start your computer and make sure you don’t initiate any other applications or software on it. Simply start troubleshooting this issue first, and later you’ll be using your system without any trouble. 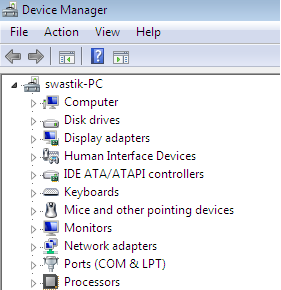 You’re already aware that there are certain drivers to operate every piece of hardware on your computer. You need to make sure that the drivers are updated to their latest versions. If you’re not sure how to update drivers, then just Google it and you’re likely to find a trustworthy tech support guide pretty easily. There are plenty of cases where the Blue Screen error is caused by some virus or malware that has messed with the registry files. Antivirus software must be installed on your computer and it’s best that you’re using a premium version. If you’re using a free version, then it might be offering insufficient protection or simply not working properly on your end. So please ensure that you have alegitimate copy of antivirus software installed on your computer, and also that its virus database is always kept updated. Keeping the Windows OS you’re using updated to the latest available version is another way of reducing the incidence of this problem. Enable the Windows Update option from the Control Panel of your device and then allow it to check for updates and install them as soon as they’re released. Make sure you have a fast and active internet connection when performing updates, otherwise updating can take a lot of time or even fail altogether. If none of the above things are helping on your end, then final thing you can do is to install a Hotfix provided by Microsoft itself. This is a small program, available on the official website of Microsoft, that can be installed and then it tackles the BSOD error by itself. It basically functions like an update. From Microsoft’s website, you only need to select the platform (i.e. version of operating system) your computer or laptop is currently working with, and then you’ll be delivered the Hotfix. Please note, this is the last way to help yourself and if BSOD is still there, then finally you need to consider the help of an experienced professional who will take a deeper look into the problem. If even the experienced professional does not succeed in solving your BSOD issue, then you probably need to have a fresh install of Windows. These are but a few ways that are going to fix Blue Screen error of death (BSOD) and I hope you found them easy enough to follow.